Dex-O-Tex® products offer a full line of waterproof deck coverings, specialty fluid-applied floorings, coatings, and decorative finishes for commercial, industrial, and residential facilities. No matter how demanding your environment, Dex-O-Tex has a flooring or surfacing product designed to meet your needs. Enduro is a leader in innovative, engineered fiberglass products and systems. Enduro manufactures a number of FRP (GRP) products including roofing & siding panels, ladder tray for cable management, tank cover systems, baffle & partition walls for water & wastewater treatment, and FRP pipe & vessels. 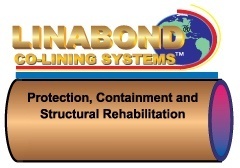 Linabond® Co-Liners™ provide the highest degree of wastewater H2S corrosion protection available, for both new construction and rehabilitation of existing wastewater structures which have been damaged or destroyed by hydrogen sulfide corrosion. They are a sandwich composite approach which combines the highest fastening strength of any wastewater PVC liner in the world, with the backup protection necessary to keep the wastewater PVC liner a permanent part of the structure. Wastewater PVC liners have been recognized for many years as the only way to ensure an impermeable membrane for wastewater structures. Linabond® Co-Liners™ are the ultimate wastewater PVC liners due to the fact that they have the highest fastening strength of any wastewater PVC liner in the world, as well as backup protection in the event of a puncture. Since 1969, Milwaukee-based Micor has been a leader in high performance coatings and epoxy grouts. Micor offers an extensive line of quality-tested polymer formulations for correctional and institutional facilities, food processing, pulp and paper and chemical resistant flooring applications. Established in 1976, Plas-Tanks has become one of the largest and most modern manufacturers of reinforced plastic products in the industry. Plas-Tanks has made a strong commitment to quality through our ISO-9001 certified quality management system. 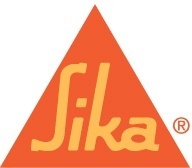 Established in 1937, Sika Corporation, based in Lyndhurst, NJ, is a leading supplier of specialty chemical products and industrial materials serving construction and industrial markets including transportation, marine, and automotive. It is also the largest company in the Sika Group with more than 900 people in 7 manufacturing, 2 R&D facilities, and sales and marketing offices throughout the country. The industry's broadest product line includes chemical storage tanks for industrial and agricultural applications, food and beverage containers, water and septic tanks for residential, commercial and municipal specifications, and UN/DOT approved intermediate bulk containers (IBCs) for hazardous material transportation, as well as many other containment solutions to meet an ever expanding array of application requirements. Strongwell has been pultruding fiber reinforced polymer composite structural products since 1956. Today, with more than 66 pultrusion machines and 647,000 square feet of manufacturing space in three plant locations, Strongwell has unequaled capacity, versatility and flexibility to meet the needs of its customers and allied partners. All Strongwell pultruded products are made in the USA.